The new Nexus 5 may be based off of LG's new flagship handset, the LG G2, but it could also be built by Motorola and powered by an eight-core processor. Since most carriers will release the Moto X on August 23, with Verizon expected to make its move on the 29th, the time has come for Google to prepare for its next move - the release of the highly anticipated Nexus 5 smartphone. The display of the smartphone should be a 5-inch Full HD IPS touchscreen. Some sources claim 5.2-inch as a possibility, but there's not much controversy here. The phone maker selected to build the Nexus 5 should be LG, but various sources claim that Motorola will handle this task. If the first rumor above is true, then the Nexus 5 will be based off of LG L2. In this case, it will feature a Snapdragon 800 processor, but it is also rumored that a Snapdragon 600 may be used to keep the price low. Other rumors claim that the Nexus 5 will be powered by a 2.3 GHz octo-core processor, together with 3 GB of memory. 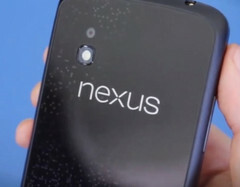 In terms of connectivity, the Nexus 5 is expected to feature 4G/LTE support. 16 GB, 32 GB and 64 GB variants are expected to be available. An official statement from Google about the upcoming Nexus smartphone is expected to be issued this fall, as soon as Android 5.0 is released.